Is There a Better Way? Yes There Is! I am sitting at home in one of the regions made post-Christmas famous by the storm that just whacked the area with anywhere from six to thirteen inches of snow-maybe more, I haven’t had the chance to get my morning news/weather fix. Normally I would have gotten a decent helping of three-stooges style news with Fox and Friends, watching them stumble around the truth and poke real journalism in the eyes-one of the “anchors” (appropriately named, because FOX is the “cement shoes” of our nation’s collective soul) practically “nyuk-nyuk”ing. I’ll let you guess which of those schmoes is the curly-joe character. I am relegated to the spare room with my laptop, because two of my daughters and one of their cousins camped out in our living room for a girly slumber party. My littlest got up early and is forcing me to live, at this very moment, through one of the High School Musical DVDs-complete with her analysis of the acting and dancing, demanding my participation in the conversation. She’s six years old! 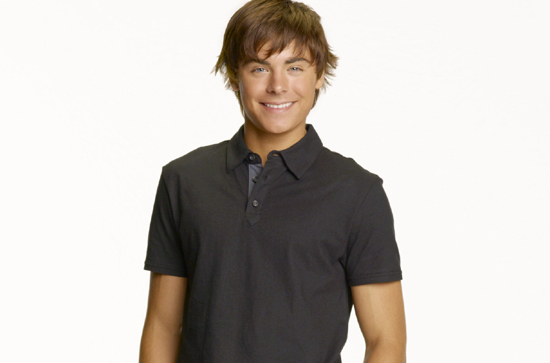 That Troy Bolton has got magic that transcends age and grade level it seems. Or maybe my little girl just likes cute boys. Man, I’m in all kinds of trouble, and incredibly blessed at the same time. I have three beautiful daughters, and they are incredibly smart, creative, savvy, family oriented. When they are together, great things happen. The link I just placed is to the YouTube channel (or whatever) the girls have made for their videos and their “production company”, TwistedDollStudios. If you visit, hit the “Browse Videos” button. They really are quite warped and fun. Chloe, my oldest daughter, used to strip her Barbie dolls naked and tie them up in various ways to mesh laundry baskets, bedposts, floor lamps…whatever. She was like three years old! The first video they made on my old cheap basic cell phone had several Barbies and a Ken involved in a love triangle of some kind-nothing nasty, just soap opera teen drama, it was hilarious! A sorceress Barbie transforms Ken into a plastic dog (it was a bathtub toy) and there was a song/video performance (C’mon Barbie, let’s go party-the “dog’s” line, with a close-up camera shot…)-all performed on my little cell phone. I wish I had saved that one, but the YouTube stuff shows some growth in concept, and the cooperative efforts of these kids, even the gross boy cousins, is inspiring. I don’t worry about the ability of my kids and their cousins to have a great future, if they seek it. I see what they do when they’re together. Through their play and their talk, I see how they think and feed off each other-building products from grains of thought-sand. Smiling, laughing, cooking, camping…They live to get together and do things together, and even though some of what they do is maybe a little twisted, maybe slightly inappropriate, these kids are amazing, loving, brilliant and capable of almost everything. So how does this happen? I can tell you FOR SURE that no %$#&!! @ standardized test is making these things happen. The teachers these kids have had did much to foster the skills (and the ability to use them), but the opportunities to CREATE are the most important. Generally the foundation for that ability is constructed and refined at home, but it is directed and applied in more practical ways in school. Wasting the time of children and dedicated lifelong educators on test-shackled goals and standards is doing a disservice to learners and teachers. There is a better way to reform education than by isolating the individuals involved in the process with endless, cumbersome testing in a data-fixation and stratification process. The kids are finally waking up in the living room, Gabriella and Zac (I think) are almost done singing, pancakes and snow play are on the agenda I believe, and at least one more video on YouTube this vacation-especially once the boys from Virginia arrive. There is definitely a better way to assess our children. Investing our time, money and energy into saddling our families, children, teachers and our schools with standardized baggage: not the way. We need to stand in opposition to this foolishness. < Previous Wow, a blast from the past. Next > Common Core, College, Career? Too Many C’s!